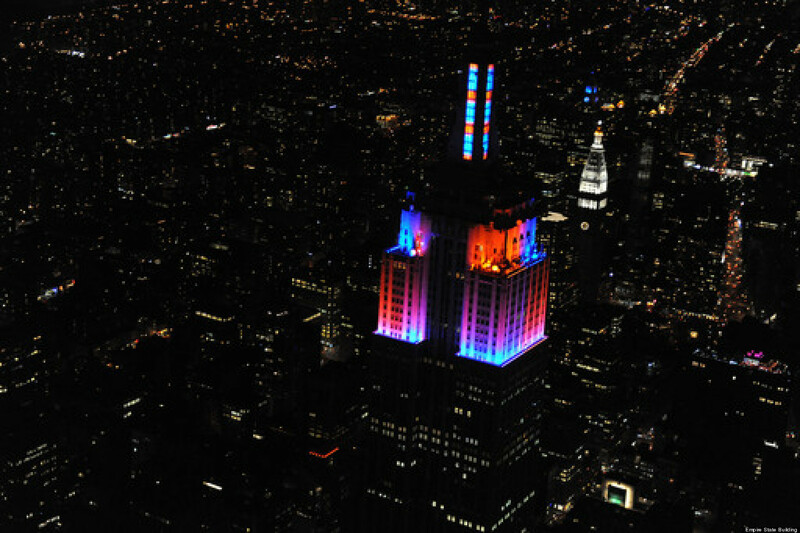 The Empire State Building’s world-famous LED tower lights were synchronized to Halloween-themed music that was broadcasted on Clear Channel’s powerhouse radio stations Z100 and 103.5 KTU. Internationally-acclaimed lighting designer Marc Brickman choreographed the show and the reveal of the building’s new antenna LED lights — which will add over 200 feet of new lights to NYC’s skyline. Print article This entry was posted by Art Eddy III on October 31, 2013 at 8:36 pm, and is filed under Videos. Follow any responses to this post through RSS 2.0. Both comments and pings are currently closed.